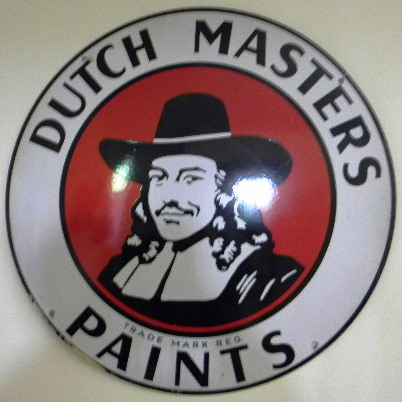 This is a round Dutch Masters Paints porcelain sign. This particular Dutch Masters Paints sign features the head of man dressed in historical clothes against a red background with a white border. It reads, “Dutch Masters Paints, Trade Mark Reg.”.